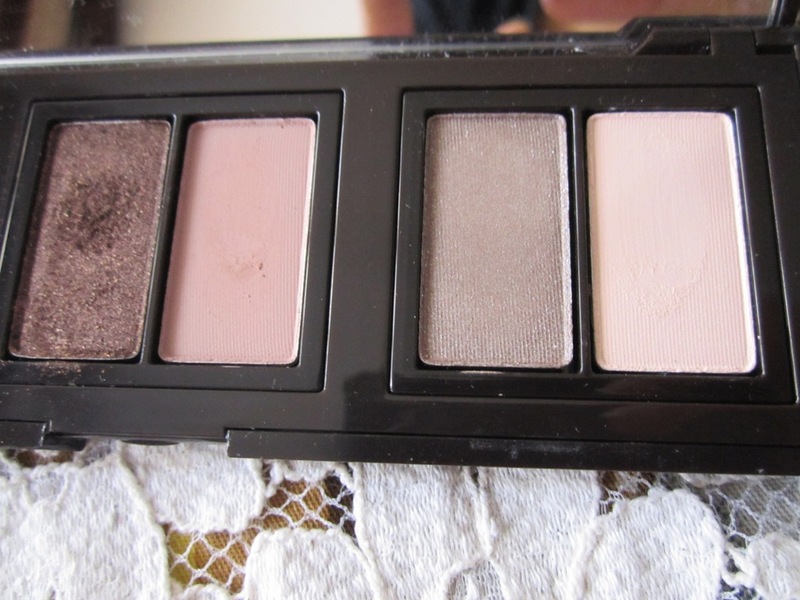 ABOUT:A color collection set with flawless makeup must-haves. For eyes, build versatile looks from subtle to smoky. The Eye Colour Duet features soft pink neutrals and deep brown plums, the Cake Eyeliner lets you line and define to perfection, and the Lash Building Mascara adds voluminous, dramatic lashes. 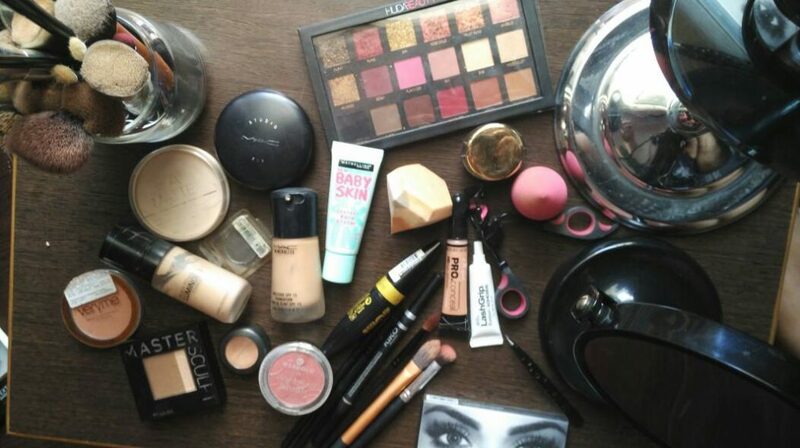 PRICE:58$ for entire set.I got the palette fro about 1200 rs. 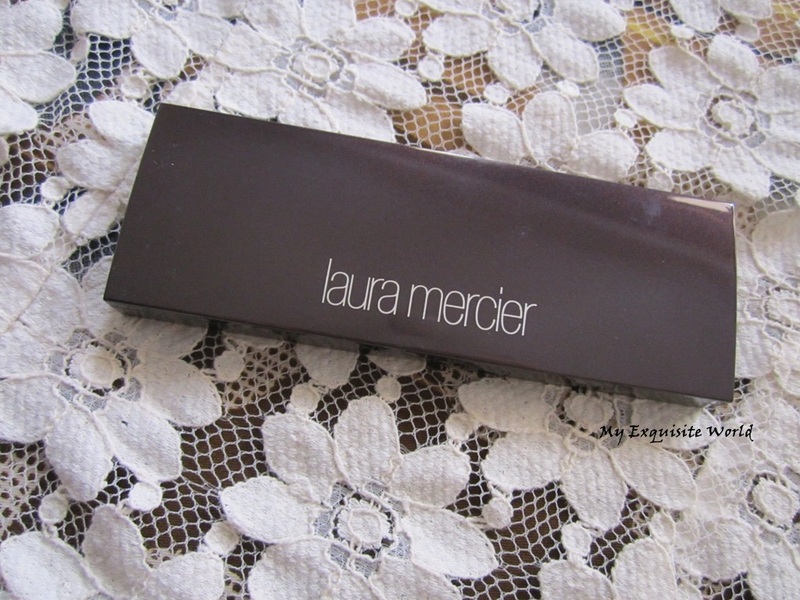 PACKAGING:The palette is a beautiful with Laura mercier written on the outside rectangular body.I love the sleek,classy packaging.The names of the shades are written individually behind.It consists of 1 cake liner and two duos. THE SHADES: Tightline Cake Eye Liner in Violet Asphalt is a gorgeous blue based violet with shimmer specks that add to the beauty of the liner. 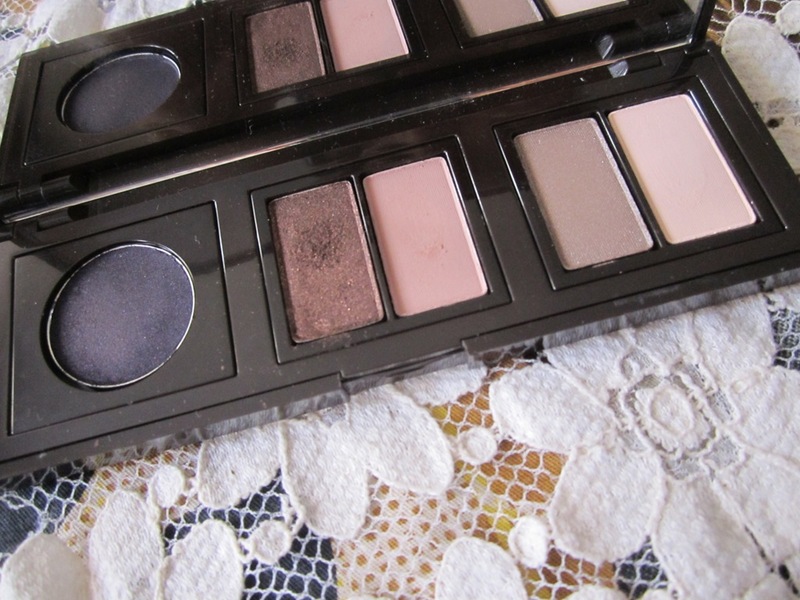 Sable/Morning Dew: A light taupe silver and matte white.I find the matte white perfect for highlighting the brows. 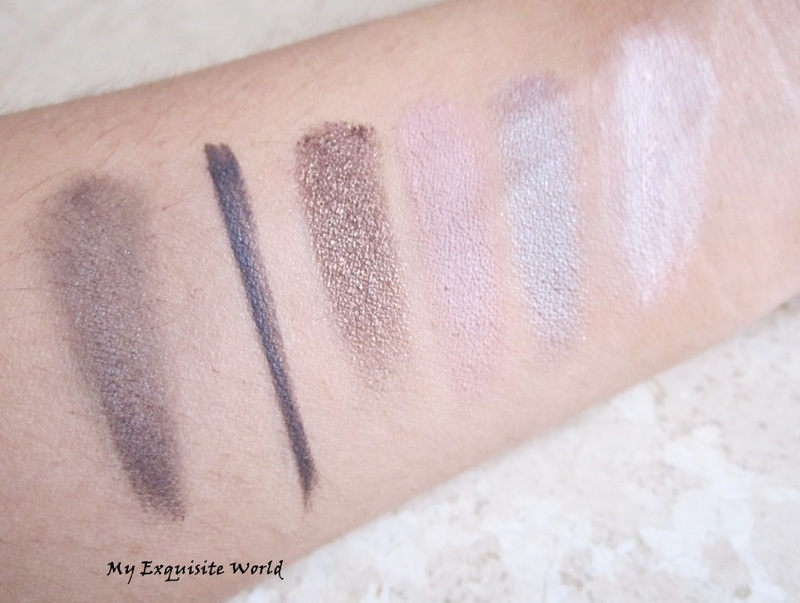 The texture of the cake liner is slightly hard when touched.I hardly swatches in dry form but the pigmentation increases to 200% when used wet.It is intense and stays for about 5-6 hours. Chocolate/Cashmere: Both the shades are creamy.The matte lilac is slightly chalky but easy to apply and blend.Chocolate has shimmer in it but its non-gritty.I love the duo and the effect that comes out.This duo is amazing.The shades are decently pigmented and staying power is around 5-6 hours. 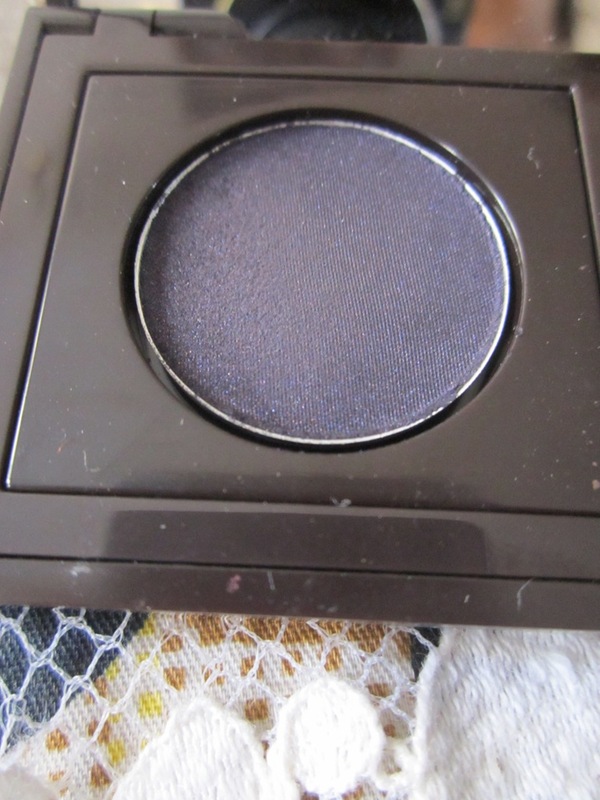 Sable/Morning Dew:This is one duo I haven’t used much but I like to add the shades in the looks that I create using the other duo.Sable is great for highlighting inner corners of the eyes and Morning Dew is great as a matte brow highlighters..Both the shades provide average pigmentation.Morning Dew is slightly chalky.The staying power is around 4-5 hours. 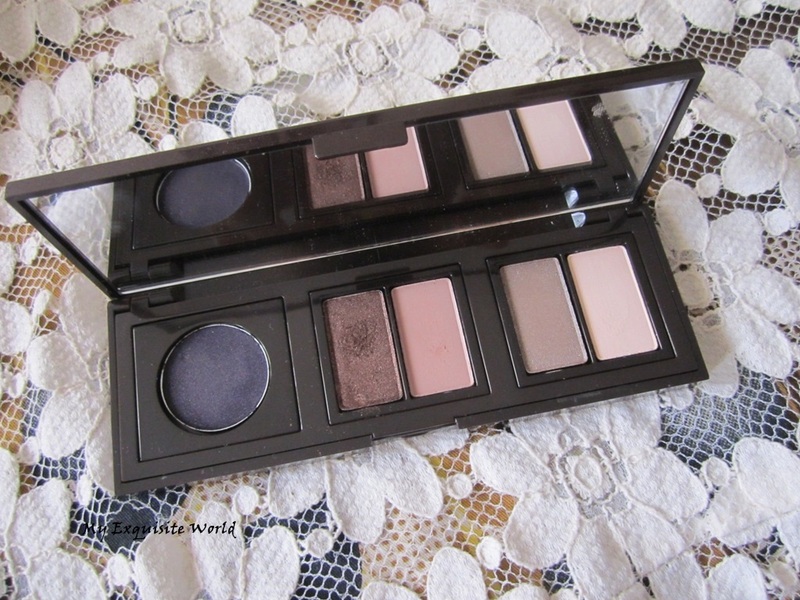 RECOMMENDATION:I like the convenience of having 2 duos and a liner in one palette.It looks classy and is travel friendly.The shades are decently pigmented and I like the outcome using these shades.I highly recommend having this palette.